(Halifax) The Green Party of Nova Scotia takes a principled stand against including costing in their platform. “One of the things we believe in is full cost accounting,” adds deputy leader Jessica Alexander. “For too long, we have heard these glossy promises at election time, and not only are the numbers almost never accurate, they don’t include what they consider externalities. So they don’t include the cost of the waste produced in the extraction of materials, the processing and manufacturing of products, nor the end of life disposal costs.” Calculating those costs is challenging, says Alexander, but essential for transparent governance. Besides, the numbers often change after the election, Trappenberg notes. “Sure, the party takes power and then blames the last guys for leaving a mess, so they can’t use the numbers they promised. It happens almost every election, unless the same party is voted back in, and then, they will say, ‘the currency fluctuated, the feds didn’t give us enough’, the excuses come out,” Alexander says. The Green Party is hoping that Nova Scotia will follow the lead of PEI and New Brunswick, by electing its first Green member on May 30th. (FALL RIVER) – This Thursday, Thomas Trappenberg, Leader of the Green Party of Nova Scotia, will be hitting the street in Waverley – Fall River – Beaver Bank to support the campaign of local Green Party candidate Anthony Edmonds. The duo will be greeting voters in Fall River at the corner of Fall River Road and Highway #2 at 5:00 pm on Thursday . Over the course of the month-long writ, the leaders of the Liberal, Progressive Conservative, NDP and Green Party will all have visited this competitive riding, which could become a four-way race when ballots are counted on election day if the strong Green response being heard at the door turns into votes. 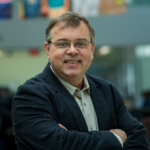 (TRURO) – On Friday night, May 18, experts in tidal power spoke to an audience of renewable energy activists about the future of tidal power in Nova Scotia. The two-hour presentation featured Dr. Richard Karsten, Dr. Shelley MacDougall and Dr. Graham Daborn, non-partisan tidal power experts from the Acadia Tidal Energy Institute. Topics included the state of tidal power technology, cutting-edge site characterization techniques, socio-economic impact of tidal projects, and environmental risk assessment. The panel of tidal power experts also entertained numerous questions from the audience. The topic of tidal power in Nova Scotia has entered into election discussion recently with a Fundy area fishing group raising concerns about Cape Sharp Tidal Venture’s plans to temporarily move its tidal power turbine. With Tuesday’s election results from BC confirmed, Canada has now elected six Green Party representatives at the federal and provincial levels. In addition to federal leader Elizabeth May and the three seats in BC, New Brunswick and PEI each have elected a Green MLA. At the municipal level, many, many more have been elected. The Green Party of Nova Scotia is running 32 candidates in this election, all across Nova Scotia. Of those, 14 are women. The leader, Dr. Thomas Trappenberg, is running in Clayton Park West, and the deputy leader, Jessica Alexander, is running in Hammonds Plains-Lucasville. The Green Party of Nova Scotia is one of Nova Scotia’s youngest political parties, building on a worldwide movement of Green politics. Originally founded in 2006, the party ran candidates in all provincial elections since then. The Six Principles of Green highlight the core values which inform how GPNS conducts itself in its policies and practices: Ecological Wisdom, Social Justice, Participatory Democracy, Nonviolence, Sustainability, Respect for Diversity. The Green Party of Nova Scotia leader spoke at the group’s AGM on Saturday, April 29, calling on the citizens of the province to vote their principles. One of the key points in the Green Party’s vision for a better Nova Scotia is to change the electoral system from first-past-the-post to a form of proportional representation. 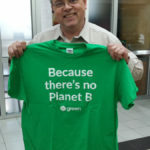 Peter Bevan-Baker, Green Party of PEI leader and MLA, also spoke at the AGM, saying, “If you keep voting for someone you don’t want, to get rid of someone you don’t want, you will keep getting a government you don’t want.” Bevan-Baker was elected to PEI’s Legislature in May, 2015. The Green Party of Nova Scotia selected its first thirteen candidates on the weekend, and is currently at 16 with more to be announced. The Green Party platform is set to be released Friday, May 5. Thomas Trappenberg, who was voted in as party leader last November following several federal campaign runs, will seek office in Clayton Park West, where he has campaigned in the past. “Don’t vote against something, vote for what you believe in. Nova Scotians deserve to expect better,” said Trappenberg.